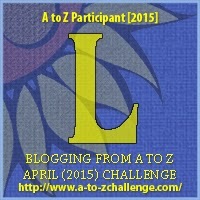 a2z challenge poem poems Life your Life , the fullest! part of life it is! live your life, the fullest! This poem was actually written by my younger sister! I helped her in refining it! My theme last year was about living life so I can resonate with this poem. How old is your sis? Cute poem! Lovely Poem. Short and indeed very sweet capturing the true essence of life and living. Our life is all about a journey where there is a past gone by, the present we are in and we look forward to the future. Unfortunately we are dragged by the past and pushed into the future leaving the present in tatters. Living life in fullest is all in the present and making most of what is there and now. Regretting on the past or worrying for the future will only aggravate the situation from bad to worse, good take a break and get the present going with zest and joy.